Outgoing President Yahya Jammeh still refuses to step down following defeat in last month’s presidential election, declaring a State of Emergency on the 17th of January, just 48 hours before his mandate expires. On State TV, Jammeh said the measure was necessary because of “the unprecedented and extraordinary amount of foreign interference” in last Month’s presidential election. 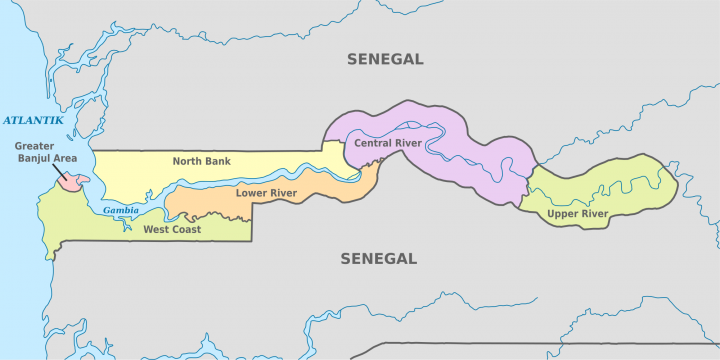 Jammeh also cited external interference in “the internal affairs of the Gambia and the unwarranted hostile atmosphere threatening the sovereignty, peace, security and stability of the country”. The State of Emergency which is supposed to last for 90 days is keeping Gambians, especially those in the city, indoors and causing others to flee on a massive scale. Under the terms of the State of Emergency anyone who disobeys and disturbs public order faces arrest. President-elect Adama Barrow, who is currently in Senegal, is scheduled to take office on January 19th. He insists his inauguration will proceed as planned. The decision to declare a State of Emergency was taken by the National Parliament on Monday 16th of January at the National Assembly, but the only members sitting were those of Jammeh’s political party. Jammeh’s continued refusal comes despite international pressure and the threat of military intervention by other West African nations. On Monday the 16th January, an injunction was filed by the outgoing president in the Supreme Court to prevent the Chief Justice from swearing Barrow into office. However, in 2015, Jammeh sacked most of the judges and their positions are still vacant, and now the Supreme Court is complaining that it doesn’t have sufficient judges needed to hear the case. All of them tendered their resignation letters asking Jammeh to accept the will of the people. The situation in the country is leaving tourists deeply concerned with the international airport filled with holidaymakers cutting short their time in the country. UK travel agent Thomas Cook has cancelled all flights to the country and is airlifting 1000 of its customers back home.